So how’s your winter going? We finally got a dusting of snow Saturday night/early Sunday morning, and the temps are below freezing today. This is the most ‘winter’ we’ve had this season – makes me wonder if we’ll be seeing snow in March and April. 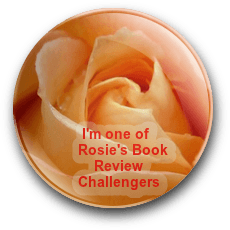 If you’re a regular visitor to this blog, you know The Gilded Wolves by Roshani Choksi was in my top five reads last year (I had an ARC). The book was just released last week, and on Friday, I learned the author would be at Parnassus Books in Nashville on Saturday afternoon. Since that’s only an hour drive for me, you can probably guess where I was that day. Despite the rainy day, there was standing room only at the bookstore, and Roshani was a delight – such a wonderful sense of humor, and she answered every question before signing books. Next Monday, three other Black Rose Writing authors and I will begin a blog tour with R&R Book Tours. I don’t have the schedule yet, but Shannon from R&R created a fantastic banner. The books are various genres under the YA umbrella – contemporary, thriller, sci-fi/fantasy, and coming of age/semi-autobiographical. Make sure to stop by and register for giveaways and show us some love! So, I finished You on Netflix, and I’d recommend it if stalker/thrillers are your thing. 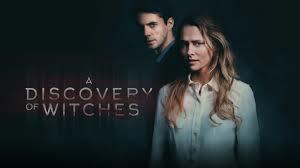 This weekend, I started watching A Discovery of Witches, based on the book by Deborah Harkness. I’m such a fan of that book series, and was skeptical of the casting of one character in particular, but the actor is slowing winning me over. Watch it on Shudder with a 7-day free subscription – only 8 episodes. Parts of the UK have had snow, but not where I live. We were meant to get snow on the weekend, but didn’t. It’s below freezing here too (or was… It’s a little above it at this exact moment) but no snow. We’ve had rain, hail, sleet, ice, fog, sun, winds of various strengths, but no snow so far. Glad you got to go to the author event. Hope the blog tour goes well. Thanks, Tori! Woke up to 13 degrees this morning, and still a little snow on the ground – not even enough to make a respectable snowman. I didn’t know there was a series for All Souls trilogy. I read all three books in one sitting over the course of five days. I’ll watch out for the tour schedule. The series just started last week, Jina. If you read all 3 of the books in five days, you’re definitely a fan – quite a number of pages! Hah yes, it’s easier because i use screen readers. i can turn on the automatic reader and just go about house chores. There’s a fourth book just out, but the negative reviews kind of scared me away. i think it’s called Times convert. I knew the fourth book came out, but didn’t have time to read it. Maybe I’ll get around to it sometime – sure has a gorgeous cover. i’d like to hear your take on it. most reviews i read were, sadly, negative. I read some reviews after you mentioned them, and I may skip this one. Most readers seemed to be disappointed. Wishing you huge success on your blog tour. Best wishes on you blog tour. Thanks, Staci! Maybe you can take a breather pretty soon and binge watch. It is frigid here in NYC. You was a wonderful thriller. I higly recommend it. Happy Monday. Have a great week. Thanks, Drew! I imagine it’s colder in NYC than here. And yes, You is a wonderful thriller – hooked me in the first five minutes (didn’t hurt that he worked in a bookstore). Yeah, I liked the bookstore thing. made me curious. I had a great time, Diana. Hubby went with me, and we had a fantastic brunch before the signing – which he didn’t stay for. Not much of a reader. Best wishes for the tour, Teri. Wishing you a fabulous time on your blog tour. I have yet to read A Discovery of Witches but the book is on my shelf. I had no idea it was being made into a series. I am so far behind, LOL! 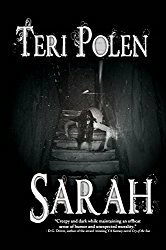 I loved that series, Mae – witches, vampires, demons, and time travel? What’s not to like? Hope you can get to it soon. It sounds like a super book tour, Teri. I hope you enjoy it and sell lots of books. I never watch TV sadly but I am making sure I set aside time for reading in the evenings with Michael. Thanks, Robbie! Sounds like you’ve got your priorities straight – I miss those reading sessions with the boys. My main impression of that book was that the author tried to pack too much into one volume. The really fun ideas, like their house that would add rooms, got a bit lost in the mob. Maybe it will work better as a series, where ideas and conversations can be spread out more. It was a big book Deby – no doubt about that. I just finished the 8 episode series yesterday, and thought they did a great job with sticking to the basic plot line and deleting things that didn’t really contribute to moving the primary story along. They did a fantastic job with the house having a personality of its own. Thanks, Natalie – looking forward to it!